The faceted roofline and brick surfaces of these apartment blocks by Danish firms COBE and Vilhelm Lauritzen Architects take their cues from the 300-year-old warehouses on Copenhagen's harbour. 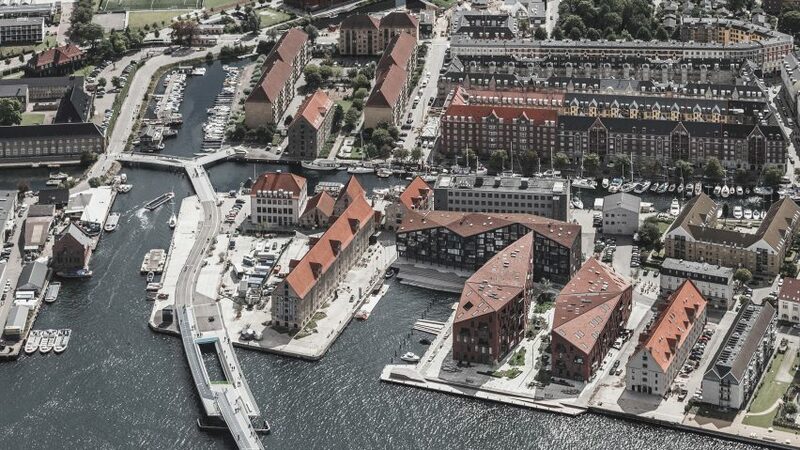 The 20,000-square-metre scheme named Krøyers Plads is divided up into three blocks that slot into gaps among old warehouses and the Royal Playhouse on the waterfront. It forms part of a drastic overhaul of the city's harbour area, which has been in-part developed by local firm COBE. "The project is based on a hyper-democratic and contextual approach where folded roofs and architectural heaviness create a dialogue between old and new, and a modern, empathetic interpretation of the architectural uniqueness of the old Copenhagen warehouses," explained COBE and Vilhelm Lauritzen Arkitekter, which worked together on the project. "The neighbours were for instance invited to help define the height of the buildings and to help select the materials – both crucial for the way the new Krøyers Plads relates to its surroundings," added COBE founder Dan Stubbergaard. 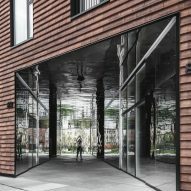 "Instead of inventing a new building typology, Krøyers Plads became a reinvention of the one already found adjacent to the site – the industrial warehouse," he continued. The three five-storey blocks contain 105 apartments, ranging in size from 79 square metres up to 250 square metres on the upper floors. Restaurants, shops and a supermarket are located in the base of each of the buildings, which face onto a waterfront promenade. Krøyers Plads is the first apartment block to achieve Nordic Ecolabel status, which requires a building to be 25 per cent more energy efficient than the legal requirement. 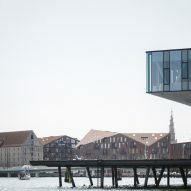 Other projects taking shape around Copenhagen harbour include BIG's floating student housing, plans for floating classrooms by CF Møller and a pair of skyscrapers linked by an aerial walkway by Steven Holl. Photography is by Rasmus Hjortshøj - COAST.